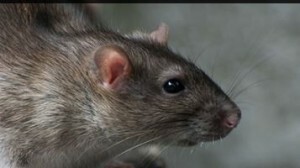 You need to consider vermin control in Altrincham if you want to keep unwanted guests such as pests out of your home. What are vermin? Termites, rats, roaches, mice, pigeons, wasps and other unwanted pests who can wreak havoc in your home are termed as vermin. Once they enter, it does not take them very long to multiply and infest your home. Vermin infestation can cause serious health and structural damages. For example, cockroaches can infect your kitchen and contaminate your food. Rats can chew up your food, clothing and furniture. Both types of vermin do not take very long to multiply in numbers and, as a result are very difficult to eliminate once they set up permanent residence in your home. 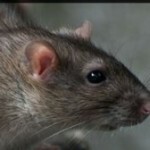 In Altrincham, vermin control is best done by Pro Kill Environmental who are the leading experts in pest control. Their vermin control measures can be applied once a month, quarterly, bi-annually or on an annual basis. Using safe and highly effective vermin control treatments, they will be able to deal with your pest problems immediately and expediently. Pro Kill Environmental also implements and suggests preventative measures to ensure that your home is not invaded again in the near future. You can also rest assured that the vermin control will be provided at an affordable cost. The team has a long-standing history of providing effective pest control services. The company was founded in the late 1990s and has grown to become one of the most trusted in the field. Pro Kill’s team is interdisciplinary which means they not only eliminate pests but are also aware of how to prevent and manage them. Whether you live in a flat, bungalow or mansion, your home can benefit from Pro Kill Environmental’s vermin control services. If your home is infested with unwanted guests, you will require professional vermin control in Altrincham provided by Pro Kill Environmental. Apart from vermin control, they also specialise in bird and wildlife management, timber preservation and commercial pest services. They are also affiliated to the BPCA. For advice and assistance on vermin control, contact Pro Kill Environmental. This entry was posted in Pest Control and tagged Altrincham Vermin Control, Vermin Control in Altrincham. Bookmark the permalink. ← Having Problems with Wildlife Control in Heywood?